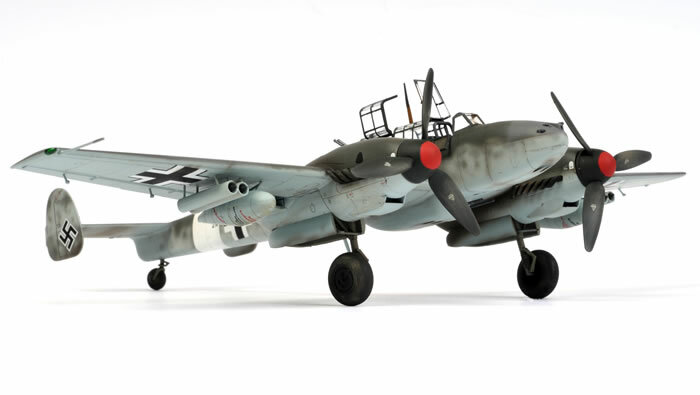 Here is my 1/72 scale Eduard Messerschmitt Bf 110 G-2. A detailed in box review of this kit appeared on HyperScale earlier this month. 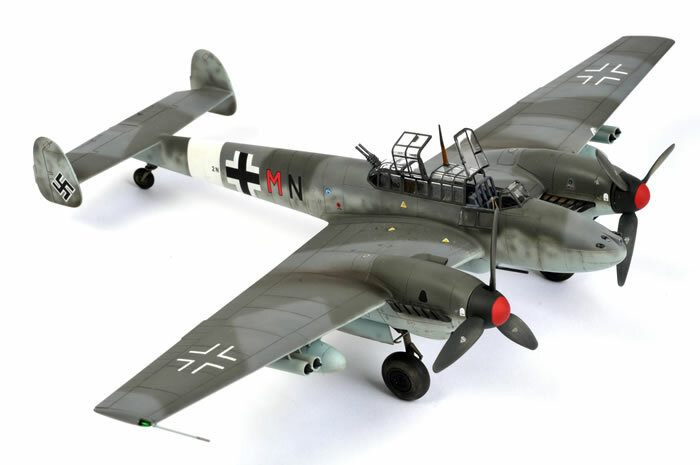 After building Eduard's Messerschmitt Bf 110 E in August last year as well, I am finding these kits quite addictive. 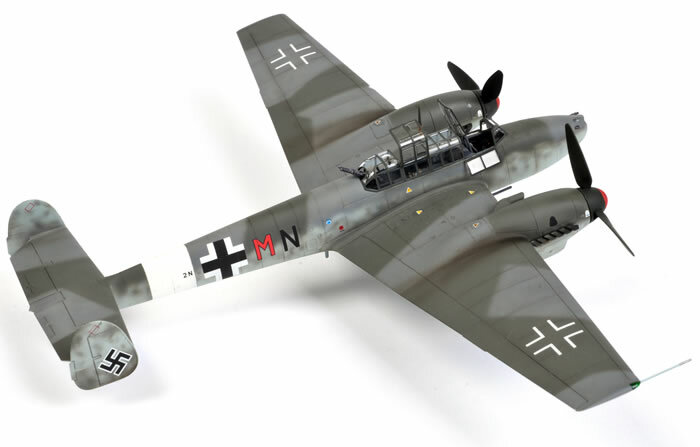 Eduard's new Bf 110 G-2 is a real pleasure to work on and a fast build. 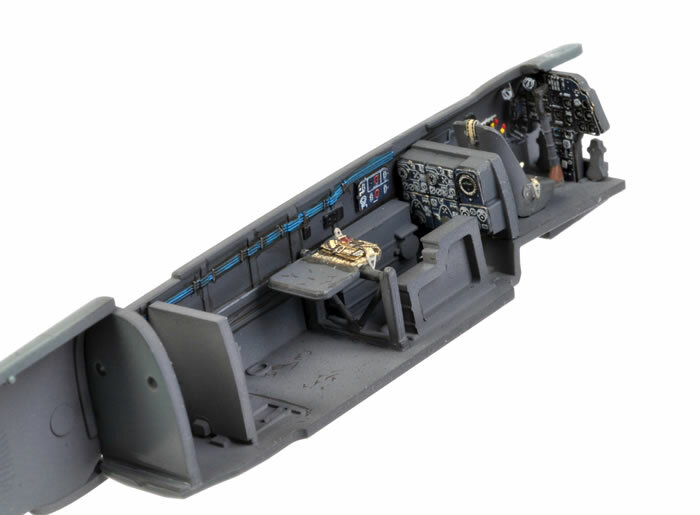 The combination of plastic and photo-etched parts in the cockpit deliver a level of detail normally only expected in larger scale kits. 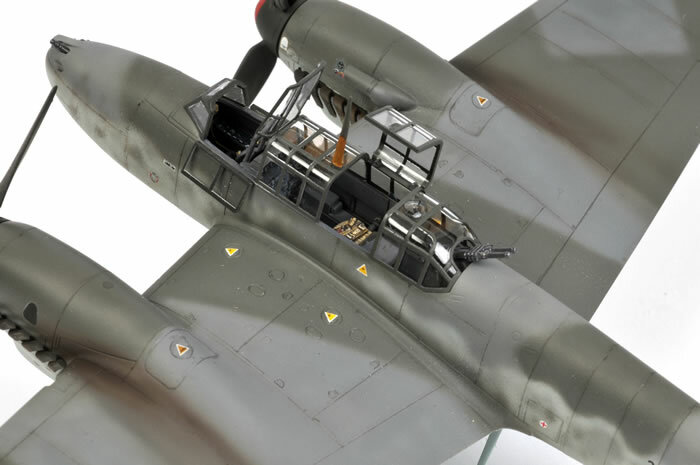 The major parts of the kit fit flawlessly, and traditionally challenging areas such as the nacelles, the gun nose, the undercarriage legs and the wheel wells are engineered for ease of assembly and perfect alignment. My model was built straight from the box, including kit decals. The inclusion of self-adhesive canopy masks is a real blessing. The multi-part canopy looks fantastic after painting, and the task is made much easier with the die-cut masks. Paints are a combination of Tamiya and Gunze, with the top coat being Testor's Model Master Flat Clear Lacquer. The model is available for USD$33.96 online from Eduard's website.